Over the past few years, Comma Press has published a series of anthologies of stories written in consultation with scientists, including When It Changed (2009), Litmus (2011), and Bio-Punk (2012). 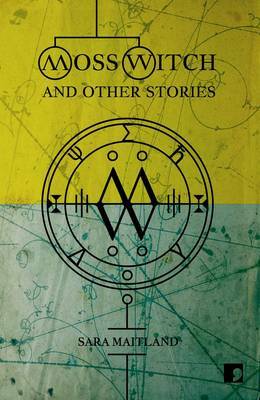 Sara Maitland appeared in all three of those, and now we have Moss Witch, which collects fourteen of her stories, each inspired by a conversation with a scientist. Although each tale in Moss Witch has grown from the seed of a particular scientific concept or piece of research, Maitland uses the science in a variety of ways across the collection. Sometimes she imagines an episode in a scientist’s biography, or somehow otherwise dramatises a significant development. An example of the latter is ‘How the Humans Learned to Speak’, which draws on Robin Dunbar’s work correlating brain size in primates to the size of social groups, and imagines the pressures that might have led to the first human speech. What makes the story so amusing is its playful tone (“Unlike hunting and gathering and learning your four times table, evolving takes a very long time”), and the way that Maitland gives her group of early humans a rather contemporary outlook. ‘The Metamorphosis of Mnemosyne’ has a more metaphorical take on its scientific material, as the Greek goddess of memory is dismissed from her post, and goes before the assembled pantheon to plead her case. Mnemosyne is concerned about changing views on the nature of memory (once thought to be akin to a recording, and now starting be seen as something we continually reconstruct), and what that means for her. Although the situation is comic, the story’s concerns are thought-provoking, and the ending wonderfully evocative. Maitland goes further down the metaphorical route in ‘A Geological History of Feminism’, which elegantly dovetails plate tectonics and the development of the Women’s Movement. We meet young Tish, talking to her aunt Ann about the latter’s earlier life. Ann describes taking boat trips with her geologist uncle, who told her about the then-new idea that the ocean floor was not static, but instead made up of several slowly-moving plates. As Ann puts it: “nothing is quite stable, nothing is fixed” – which is the same kind of thinking that led to her pinching her brother’s boat when he wouldn’t give her the money to do her own research (because he thought “geology wasn’t ladylike”). We feel Ann’s sense of exhilaration as new possibilities open up in her life; but that turns into a certain sense of resignation as time passes further (“We didn’t give up, Tish, we were ground down, pushed under, subducted”). In Moss Witch, the stories matter, and the science matters. That combination is a delight to explore. Any Cop? Yes, especially if you’re interested in seeing science refracted in myriad ways through the prism of fiction.